Does your child face difficulty in seeing the black board in the class? Does your child find it difficult to read out when something is away from him/her? Childhood Myopia is defined as a refractive error wherein the child can see close objects clearly, but objects far away looks blurred. It is commonly known as near sightedness or short sightedness. What causes Myopia in children? Genetic – Myopia runs from parents to kids, if one parent is myopic then it is likely the child is myopic as well. If both the parents are myopic then the chances are more likely and higher. Indoor activities – Children who spend more time indoors and are involved in playing games on mobiles, laptops, computers, watching television and reading in dim light often develop Myopia. 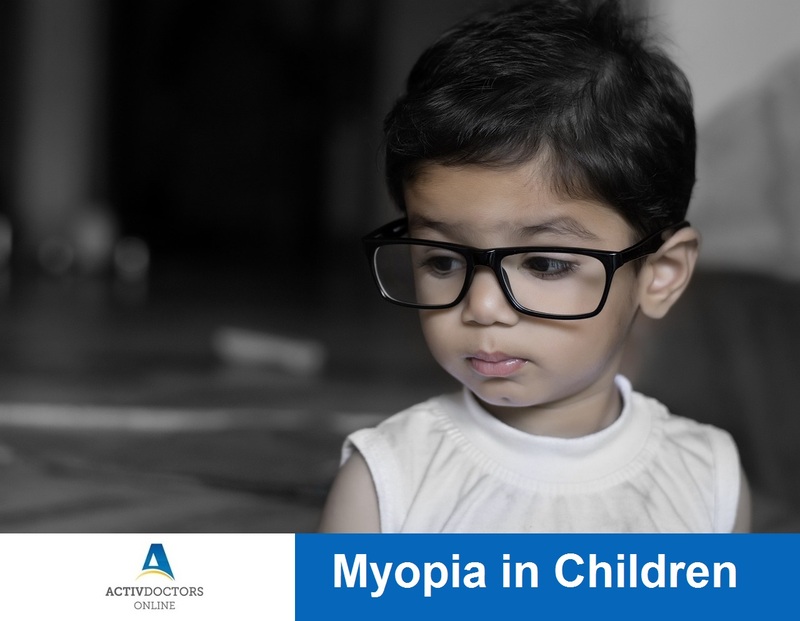 How to identify Myopia in Children? Most kids do not complaint when unable to see clearly. So as parent, you need to identify – check if he is facing difficulty in seeing far objects. As a preventive measure get your child’s eyes checked at 6 months, 3 years and before he joins first grade. Myopia is treated with thorough examination and correction based on requirement. Doctors may suggest corrective lenses/glasses which he should use on a regular basis. Reduce the time he/she spends on TV, playing games on mobile, reading in dim light. Tuberculosis – What you need to know?